I told you I was sick, reads the headstone above Mamie Sue Preston's grave. She was the richest woman in Sleepy Hollow, Kentucky, and also the biggest hypochondriac. Ironic, considering someone killed her—and covered it up perfectly. And how does Emma Lee, proprietor of the Eternal Slumber Funeral Home, know all this? 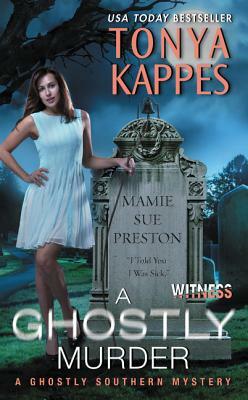 Because Mamie Sue's ghost told her, that's how. And she's offering big bucks to find the perp. The catch is, Mamie Sue was buried by the Raines family's archrival, Burns Funeral Home. Would the Burnses stoop to framing Emma Lee's granny? With an enterprising maid, a penny-pinching pastor, and a slimy Lexington lawyer all making a killing off Mamie Sue's estate, Emma Lee needs a teammate—like her dreamboat boyfriend, Sheriff Jack Henry Ross. Because with millions at stake, snooping around is definitely bad for Emma Lee's health.